Contact Wessex Water customer services by calling their general enquiries telephone number 0345 600 4600 to set up a new account, to notify them that you are moving away from their supply area and to switch to an alternative tariff. Likewise if there are any changes to your account, such as a change in the number of people living in your property or an extension requiring additional water supply you should call this helpline to notify their customer care advisors. Calls to Wessex Water are charged at the standard national rate for the United Kingdom which consists of a per-minute fee plus a per-call access charge, both are set by your provider. However you can avoid these charges if you receive the use of free inclusive minutes as part of your landline or mobile tariff, allowing you to contact Wessex Water for free. Lines are open 8am-6pm Monday-Friday however closures may be in effect during bank holidays. Contact Wessex Water on their dedicated textphone helpline 18001 0345 600 4600 if you are hard of hearing or suffer from a speech impediment. Please note that you will need a suitable textphone or minicom device to be able to access this text relay service. Phone Wessex Water on their billing enquiries number 0345 600 3600 to contact customer service advisors about your water bill. For instance if you believe that you have been overcharged you should dial this number to get a refund against the overspend. Similarly if you have received a bill based on an estimated meter reading you can call this helpline to submit accurate figures so that the charge can be corrected. Furthermore if you pay for your water supply by direct debit you can phone this number to amend your account details, for instance adding another payee or changing your payment date. Phone the Wessex Water billing helpline using their automated contact number 0345 600 1019 to make a payment towards an outstanding water bill. Please note that you will need your 13-digit reference number to hand when making the call so that your payment can be processed and attributed to the correct account. As this is an automated service lines are open 24 hours a day, seven days a week. 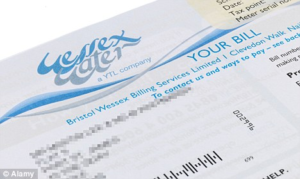 Contact Wessex Water on their UK phone number 0345 600 6600 to switch to a water meter or to change to a regular tariff. Here you can also request literature about their various water tariffs, surface water drainage policies and rateable value charging. Phone Wessex Water on their 24 hour contact number to report a sewerage emergency such as flooding on your property and blocked drains. You can also call this helpline to report discolouration or a pungent smell to your water so they can investigate the cause of the issue. As mentioned this service is available 24 hours per day, seven days a week. Contact Wessex Water for free by dialling their freephone number 0800 692 0692 to report a water leak or a burst water main. A member of their engineer team will then be sent to the address of the incident and will advise you on the steps you can take to make your property safe. Customers who are too busy to contact Wessex Water over the phone may use one of their alternative methods to get in touch with the water company. For instance you can send written messages via their postal address or email account, moreover you can even send public queries via their range of social media profiles. You may write letters to Wessex Water by addressing them to their operations customer service desk which is located at the following office in Bath. However please note that it may take them up to ten days to reply to your enquiries hence you should call their helplines in the event of an urgent emergency. Send online enquiries to Wessex Water by posting your messages along with any relevant attachments to their email address operational.enquiries@wessexwater.co.uk. Please be aware that it may take up to 48 hours for them to process your enquiry. You can post public messages to Wessex Water as well as browse their range of announcements via their social media profiles. Please remember that you should not post sensitive payment details about your account using these forums.